We have the best selection of pre-owned used cars in Denham Springs, Louisiana! Our selection of used cars, trucks, and SUVs changes daily because our used cars are the best and they sell quickly. If we do not have the perfect used car you are looking for then chances are we can get! Finding the best used cars for sale in Greater Baton Rouge is worth the drive from Prairieville, Gonzales or Saint Amant! Even Walker, Zachary or Livingston are just a short drive! We get in more cars daily in order to keep up with the demand. Feel like you just don’t have the time, or don’t want to drive from Opelousas to Breaux Bridge or New Iberia, Lake Charles, Morgan City? Our entire used car selection is always available online so you can browse through our pictures, read our descriptions, and ask us questions. See the right used car for you? Come see it in person so you can test drive it! 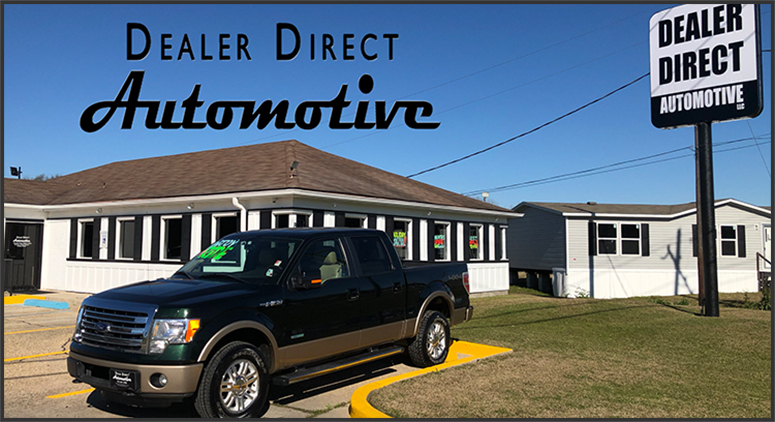 Our mission here at Dealer Direct Automotive’s Used Car Dealership on Florida Ave in Denham Springs is for you to be so delighted with your vehicle purchase that you’ll come see us when you need your next pre owned car or truck and will happily recommend us to friends and family. Customer referrals are the ultimate compliment. 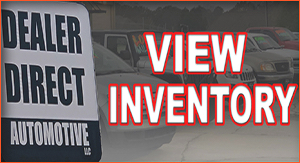 Our used car dealership near Baton Rouge sells quality cars, trucks & SUVs at great pricing. We carry all types of makes and models. Ford, Chevrolet, Toyota, Nissan, Lexus, Acura, GMC, Chrysler, Dodge, Jeep, Ram Trucks, Subaru, Kia, Hyundai, Mazda and more! Apply easily and save time online by filling out our online credit application. 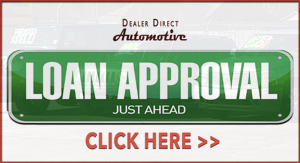 Dealer Direct Automotive offers auto finance options for everyone. Ask about our First Time Buyer’s program. Whether you are trading in a car, or want to sell us your car. Dealer Direct Automotive wants to assist you! We want you to sell us your car, truck or SUV with confidence! Dealer Direct Automotive offers complete transparency in our appraisal process as we use respected third party appraisal services like Black Book, Kelly Blue Book and Manheim Auction reports as well as vehicle history reports to arrive at a fair value for your trade. • Appraisers on hand to inspect and test drive your vehicle – with title in hand you can sell today and be paid today! • Over 20 years combined experience of serving the Denham Springs, Baton Rouge and surrounding areas! • Absolutely NO obligation to buy a vehicle from us when you sell us your vehicle!